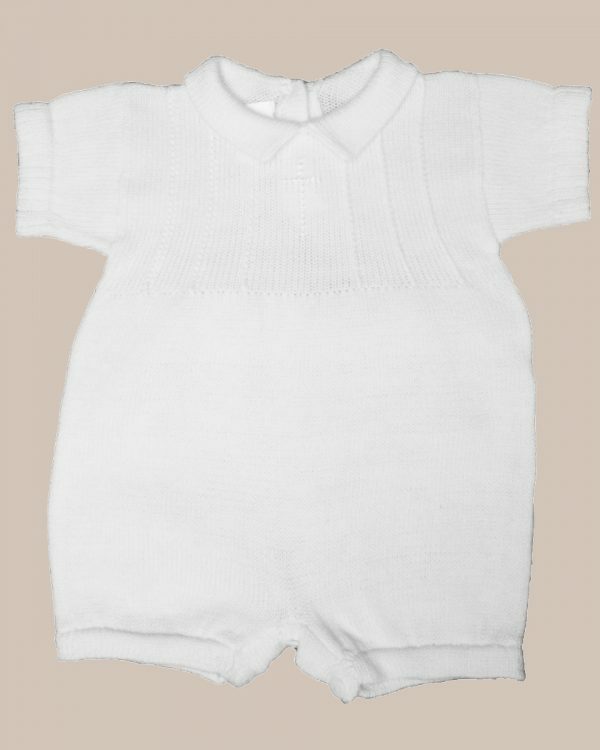 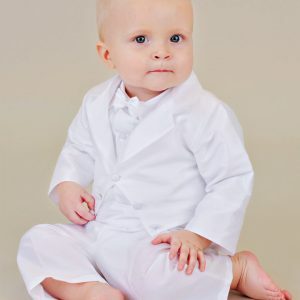 Baby boys short-sleeved white cotton knit romper with built-in collar and 6 stitched vertical pleats along chest. 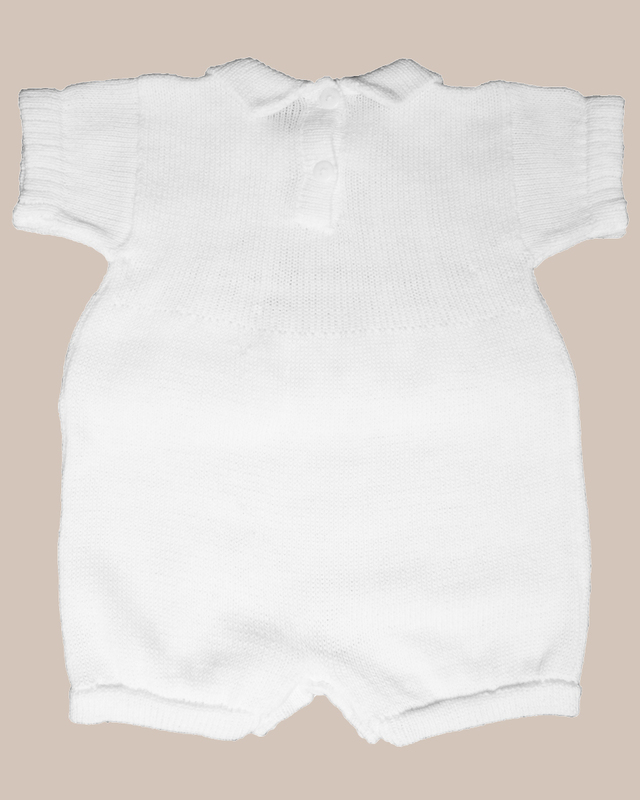 Built-in Collared Knit Romper with 2 Clear Buttons in Back and 6 Vertical Stitched Pleats on Chest. Ribbed Edge Finishing on Sleeves and Double Knit Edge on Shorts. 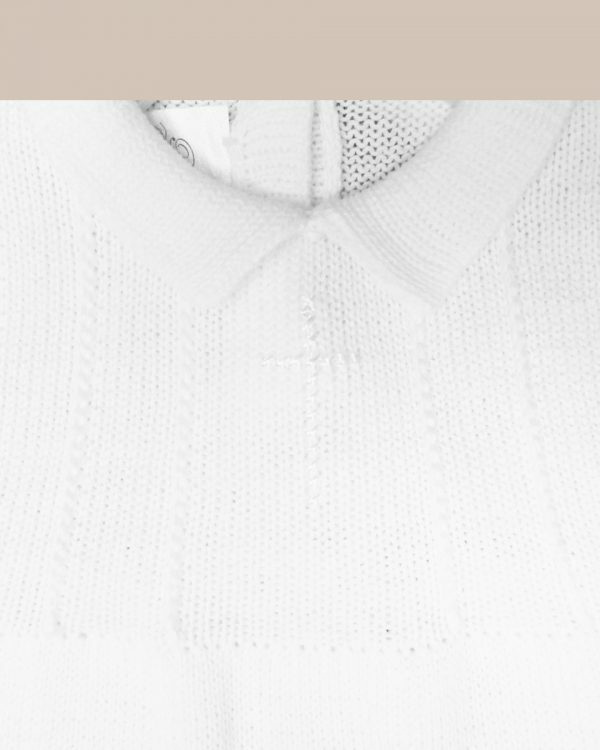 Smooth button closures between legs for easy access. 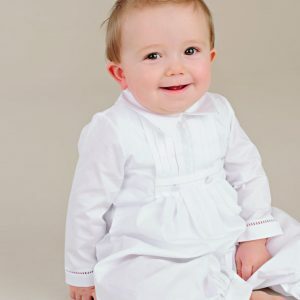 An must-have short sleeve collared romper for daily use or Special Occasion: Christening, Baptism, Blessing, or Sunday Dress.